'London Fashion Week' hits the city from February 15-19 in a dizzying whirl of catwalk shows from 250 designers at top venues. The capital will be packed with fashionistas in the lead-up and through the week and the V&A’s new show, Christian Dior, Designer of Dreams, joins the high-fashion mix. In the antiques world, two vintage fashion fairs are running in London mid-February and are expecting even more buyers than usual. Matthew Adams’ Frock Me! 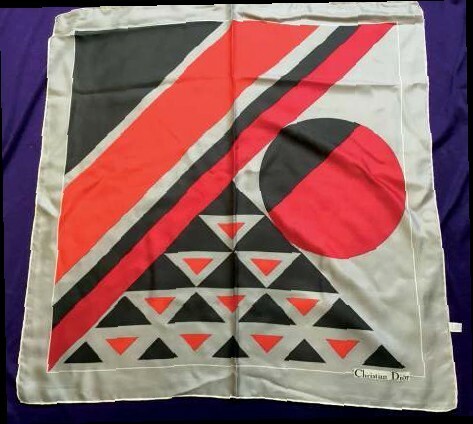 is at Chelsea Old Town Hall on Sunday, February 10, with 60-plus dealers in vintage fashion and textiles including designer labels from Chanel, Yves St Laurent and some Dior. Frock Me! was established by Adams in 1997, who also runs the ‘Horti’ fair. He studied theatre and costume design at the Central School of Art and Design in the 1970s and became an antiques and vintage dealer around 1980. Meanwhile, Alberto Ricca of P&A Antiques holds his vintage fashion fair at Hammersmith Town Hall on Sunday, February 17, and will showcase designer names. P&A also runs the London Antique Textiles & Tribal Art Fair, which next takes place at the Olympia Hilton Hotel in Kensington High Street, London W14, on June 23. An auction in west London coinciding with this mid-February fashion fest is Designer Handbags & Fashion on Wednesday, February 13, at Chiswick Auctions. 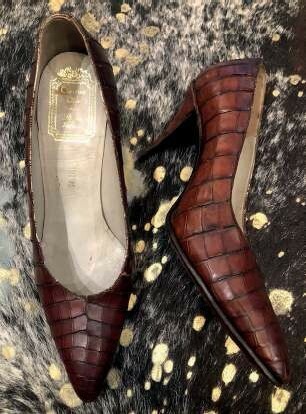 Later in the month, fashion specialist Kerry Taylor Auctions of Bermondsey, south London, holds an Antique and Vintage Fashion and Textiles Sale on Monday, February 25.